Here at Te Taunga Adventures it’s your adventure that counts! Are designed with everyone in mind, our horses can be ridden and are not taught to follow one another so experienced riders can go for a ride with the opportunities to trot and canter, with an independent mount. For the beginners that want more of a trekking experience our horses will naturally follow along as they are social herd animals by nature. Beginners can sit aboard your trusty stead and enjoy the views or you can learn to ride as we go or have a lesson before you head out- this is recommended for the nervous or unsure how you will be rider. It’s not all about riding we can teach you the basics of horse care and horsemanship. Team building, pony/yard rides, lessons in horse care and riding, stay and learn, join us mustering, barefoot trimming. The following is designed to give you an idea of what we offer but is subject to change and your ride will be personalized to suit you/your group. Great Ride for anyone who wants a great experience with spectacular views, whether you are short of time haven’t been in the saddle for a while or simply never ridden, this is a fantastic adventure. Start on flat to rolling terrain then climb to 150 meters above sea level to ride along a ridge line with stunning views over the pacific ocean, estuary, rivers, Pounawea, our QEII forest covenant and up the Owaka valley before gradually making your way back to sea level. Suitable for all riders with experience or the adventurous beginner. Warning does include a steep uphill climb not for the faint hearted but very achievable by beginners and children. As above without the steep hill climb, ride varies over flat to rolling terrain, short easy ride. Good introduction to horse riding. 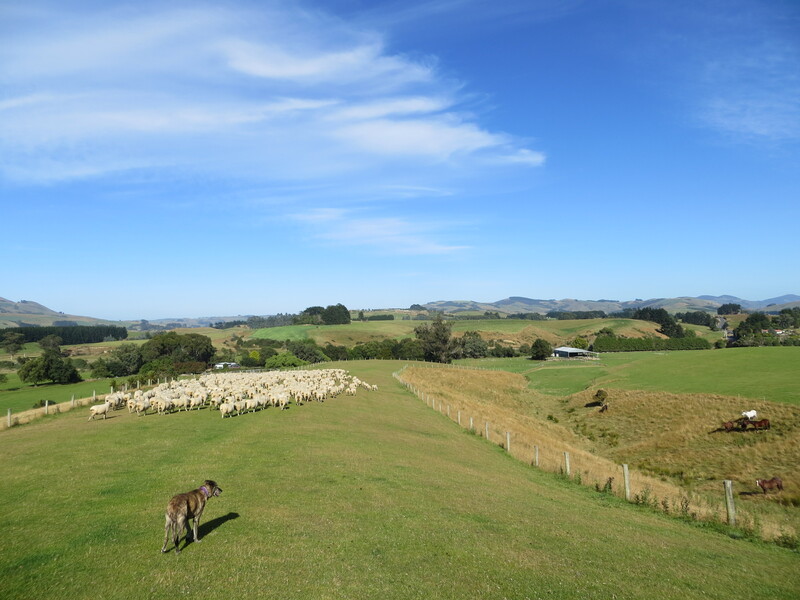 Start with 1 hour wonder then head up the hill further with views over the Catlins Lake and surrounding farmland riding past or thru our QEII covenant forest, past our circular sheep yards at 200 meters above sea level which are centrally located on Te Taunga (our farm). From here we see views of Owaka township, our larger 100 acre block of bush, Surat Bay, False Island and Cannibal Bay. 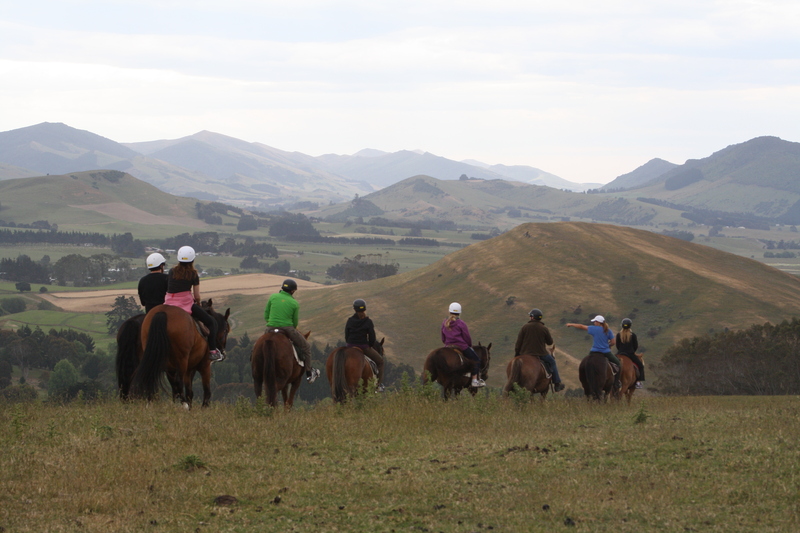 Great ride for those wanting to experience the farm and the beach, starting from base we head up our main hill either following the main track or heading into paddocks, spectacular views over farmland, rivers,Catlins lake, QEII forest covenant, Owaka township and valley. Reaching our circular sheep yards at approx. 300 metres above sea level you will descend down the other side with more spectaculars views over native forest, farmland, Cannibal Bay, False Island and Surat Bay. We then hit the flat for a while following a small valley, giving you a chance to hop off and stretch your legs or have a trot and canter. We then head thru the Totara forest and lupin covered sand dunes before arriving on beach. After the beach we have a short scenic road ride before returning to Te Taunga and head along the flats over the ridges and home for a cuppa. This ride can be ridden either way depending on tide times and weather. 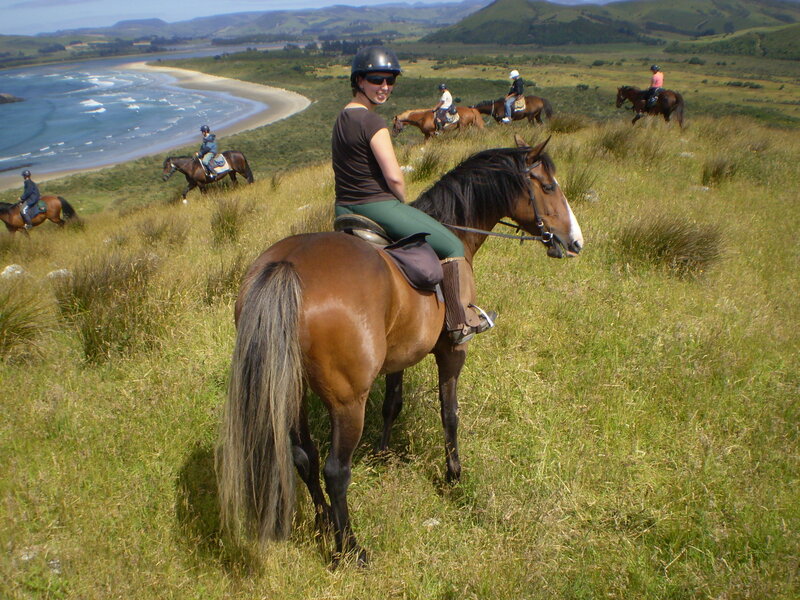 Take time to bond with you horse while riding over flat to rolling farmland before arriving at Surat Bay. 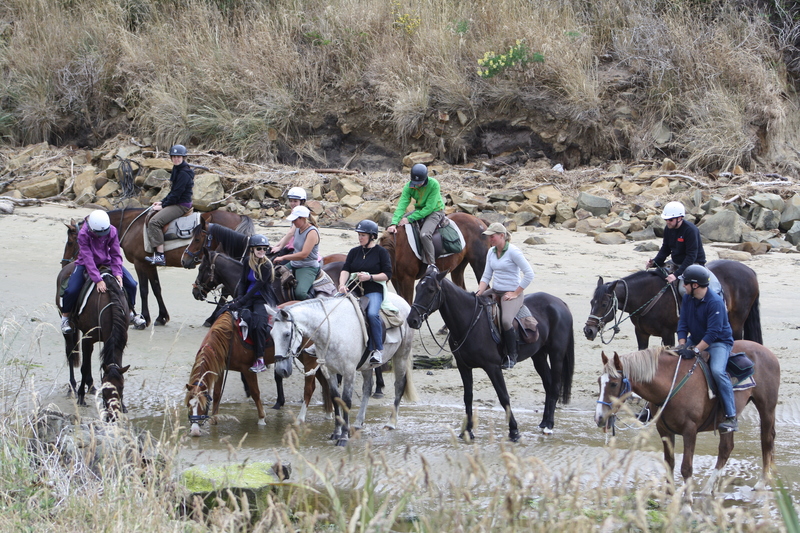 Enjoy riding on the beach and playing in the surf, experienced riders may wish to have a trot and canter. When times up turn around and head for home either the same way or head up hill as mentioned in 1 hour wonder. Go on why not see it all, great day out whether you want a relaxing day taking in the fresh sea breezes, strolling across country thru farmland to see sheep and cows grazing, hear birds singing in the native forests or a full on adrenaline action packed ride this is it! This is a combination of the beach, farm, and airstrip rides. With as many breaks as you require morning tea, lunch and afternoon tea. This ride is as flexible as you are. Please let us know what you want. Many optional extras, Cannibal bay, False Island – decide as you go!